I think we can all agree upfront, public speaking is difficult. Of course there are a rare few people out there that actually enjoy it, but for most of us it is a skill that we constantly need to be working and improving upon. In particular, presenting to a business audience for those of us who are technical in nature within our professions can be especially challenging. Understandably so, right? When you have been diligently working on your technical skills throughout your career, you may not have put as much emphasis on the client facing side of things or your presentation skill set. That said, you may now find yourself in a consulting role that means you can no longer avoid public speaking if you want to grow within your occupation. I will give you an example. I have been a developer for years but am fairly new to being a Salesforce consultant. As a consultant, I am not only encouraged but required to be a presenter in a client facing role. This has not been an easy transition for me seeing as most of my career has been in Information Technology. How did I overcome this? And how can you do it to in order to become a rock star at presenting to clients, partners, and coworkers, alike? Lets talk about the presentation itself. The first thing you will need to do is get organized and set a clear and defined purpose for what you are speaking about. Ask yourself, what am I going to be talking about specifically? We have all heard that presentation where the speaker switches around so frequently, we eventually lose track of what the topic was supposed to be. Don’t be that speaker. Express your intentions early and stick to them. 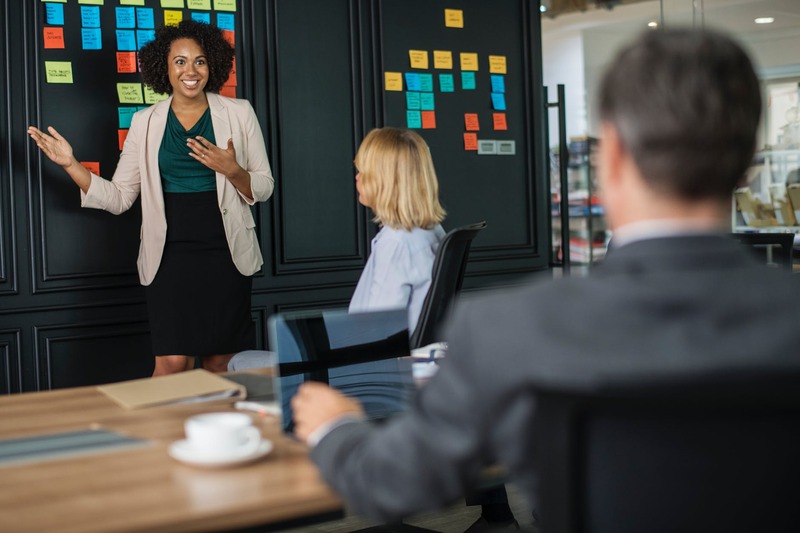 You may be thinking, “duh, that’s presentations 101.” You would be surprised though, how easy it is to veer off into the weeds when you are giving a presentation that is technical in nature. Why is this important as a consultant? You need to be able to convey to your audience why your topics are relevant to them and how they can relate them to their business processes. Now that we have established the ground work, the next thing we need to be aware of is avoiding “information overloads.” This is critical when communicating technical information. For example, if you are going to be using slides, keep them short and concise. No one wants to have to read a novel on each slide or have so many graphics they get distracted from the point. More is not always better. I am certainly guilty of doing this in my past presentations. I can remember several times when I was so excited about the technical details on a solution I was presenting about, that I bypassed the fact that the majority of the listeners were not technical in nature and therefore did not get the details they needed from me. Presenting nitty gritty details to a business audience usually does not help them to capture the high level points you are trying to get across. It works much better to have some relevant details to help support the high level points, and ditch very niche details. Lastly it is important to remember to make your audience feel comfortable and conclude on a strong note. Us technical people do not usually think about peoples feeling while we are working. We juggle facts and logic to do our daily work, and sometimes we mistakenly do the same in our presentations. For example, maybe you are presenting a large amount of facts about a new Salesforce industry trend (there is no shortage) and are showing your audience how logical it is to adapt them. You will have a far easier time capturing their buy-ins if you are excited and convey your excitement to them along with the facts. Put the people back in the presentation. For more helpful tips and tricks, I highly recommend checking out the resources listed below. Willie duMaine is the Salesforce Developer/Consultant at Statêra and has been working with the Salesforce platform last 5 years. Prior to Salesforce consulting, he has been working in IT with many different roles including Web Developer, Software Engineer and Database Administrator.